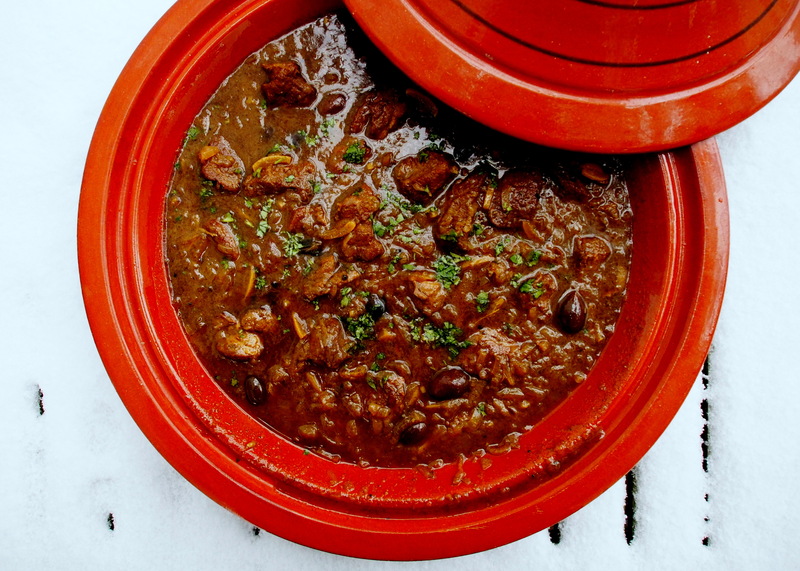 In general, tough cuts of meat require long slow cooking to become tender. Because cooking them is time consuming and labor intensive, they are less expensive than classier cuts that can be quickly sauteed or grilled to reach a toothsome state. The parts of an animal that receive the most exercise, the shoulder, neck and legs, have thick muscle fibers and substantial connective tissue to hold the muscle, fat and bone together. Cuts that come from these parts are tougher than cuts from the back, which are used for sauteeing or grilling. 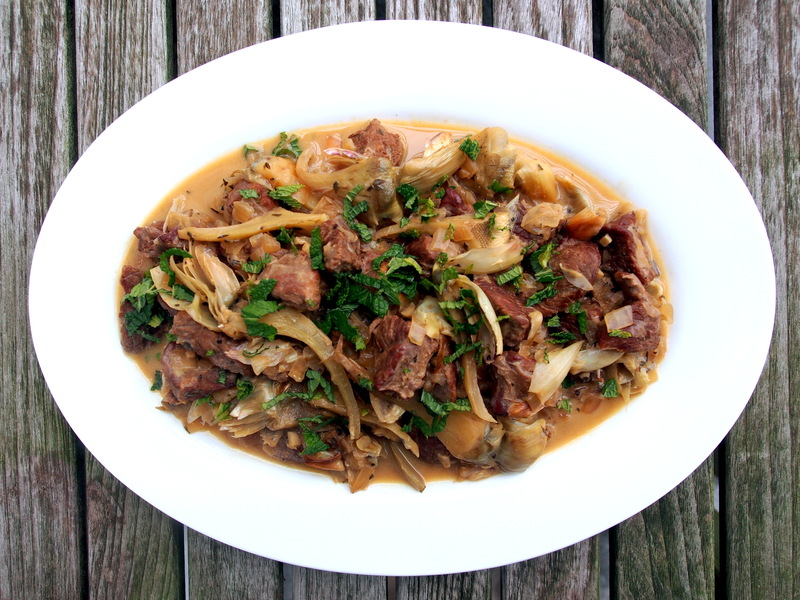 Stewing is an ideal way to cook cheap, tough cuts of meat. Connective tissue contains collagen which, when slowly simmered in liquid, dissolves and creates a rich texture. When cooked appropriately, tough cuts are more flavorful than their more expensive counterparts. 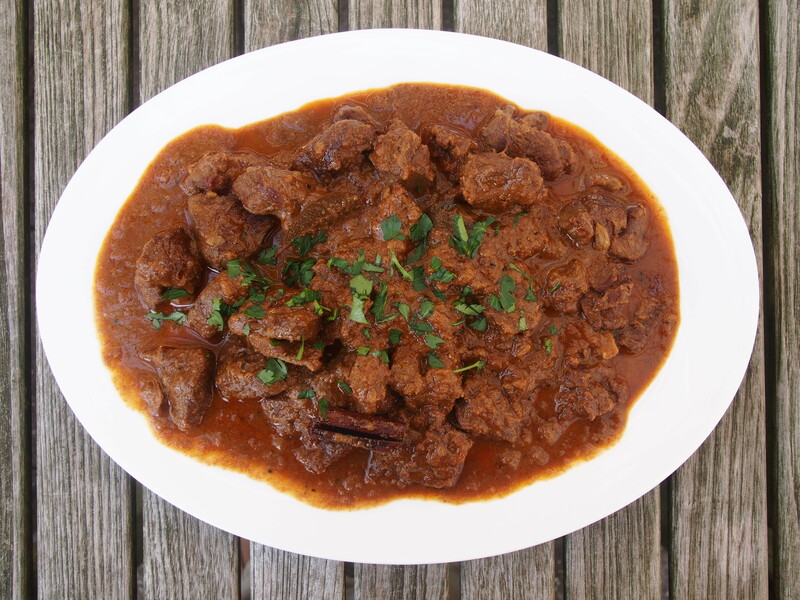 Shoulder (called chuck in beef and lamb), contains more collagen than other cuts, and it also contains plenty of fat. 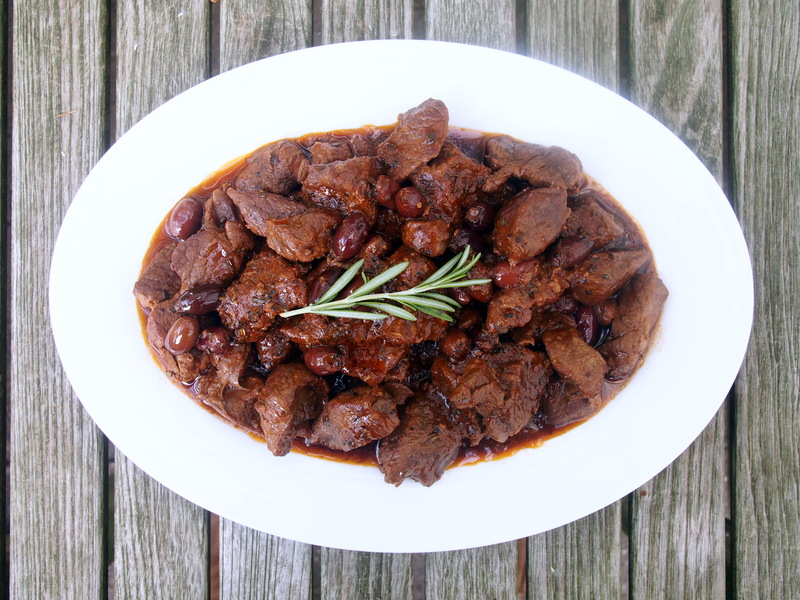 Shoulder can be bought as roasts, as steaks, and in chunks, which butchers often label, aptly, stew meat. Leg of lamb is good alternative. 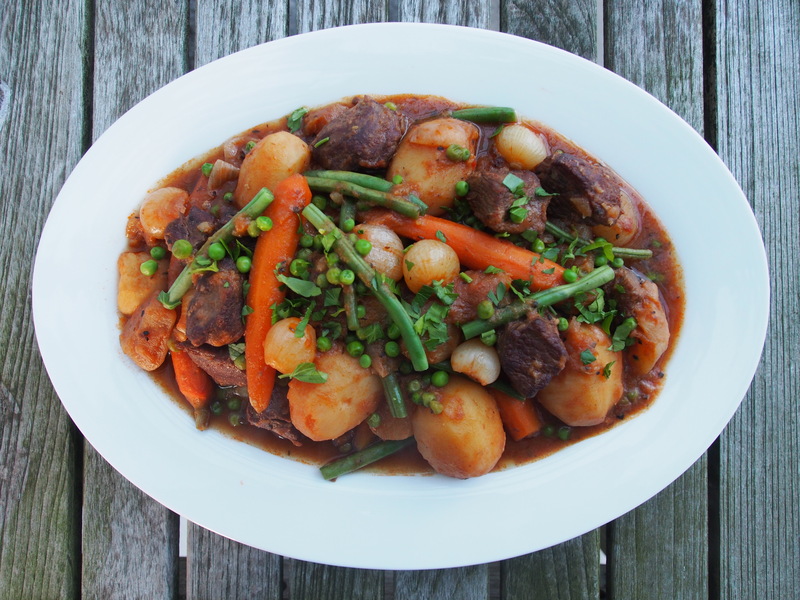 With the exception of Julia Child’s navarin printanier, which I’ve included here for the sake of comparison and because it is a classic, the stew recipes that follow are easy. (Yes, Julia’s recipe is long, but each of the steps is easy, and the result is delicious.) 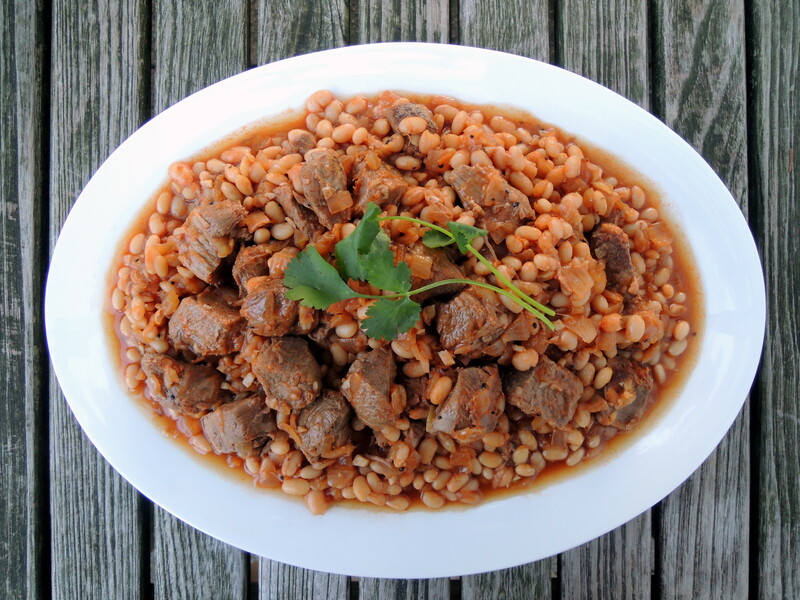 Like beans, stews can be made a day in advance and actually improve in taste and texture, so this can be another weekend project that will sustain you during the work week. 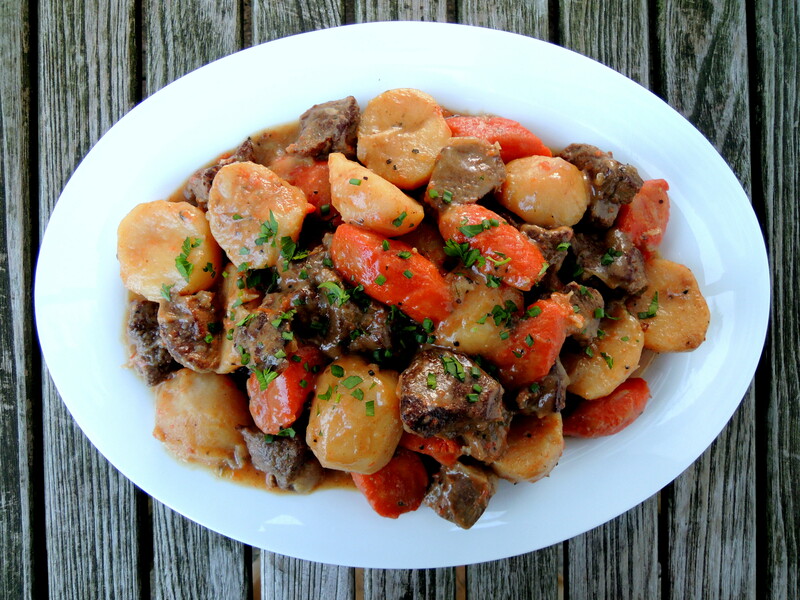 Stew is the ideal party dish, prepared completely before the first guest arrives, and reheated as the crowd assembles.